Here at Lockaway Storage, we know our success is due to our wonderful team. The care they give our renters is unparalleled and we want to highlight their milestones along the way. 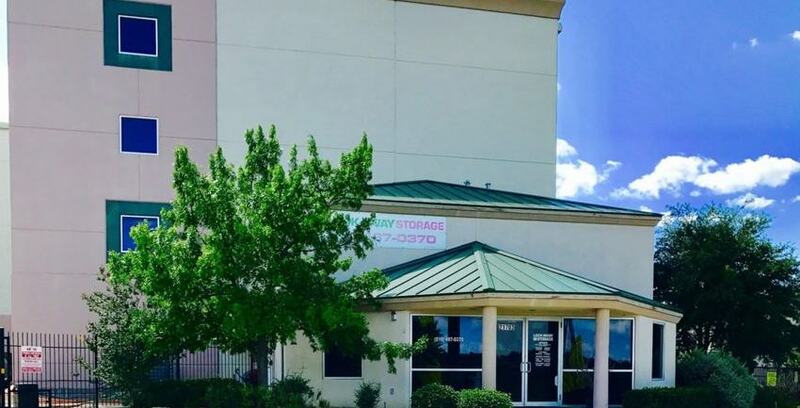 Below is an interview with San Antonio team member Carlos Morales, who is celebrating his 1-year anniversary with Lockaway Storage this week. Carlos is a member of the maintenance team for Lockaway Storage in San Antonio. Lockaway Storage – Encino 281 in San Antonio, Texas. Peter: Hey Carlos, how long have you been with Lockaway Storage? Carlos: It’s been about a year, I think, on November 21st. Peter: Congratulations! A year is a long time at any job these days. What do you do for Lockaway? Carlos: I work for the maintenance department. Peter: Nice. How did you get involved with them? Carlos: Well, one of my coworkers, Danny, told me there was an opening, that they were looking for a maintenance guy, so I gave it a shot. Peter: How do you like it so far? Carlos: It’s good. I like it. It’s different. Peter: What are some of the things you take care of as a maintenance guy for Lockaway? Carlos: We do electrical, plumbing work. We do anything they need. We lay flooring. We paint the mini offices, install light fixtures. Sometimes we install the wall packs on the buildings. I changed the AC filters recently. Check the golf carts for sure. At the facilities we just started replacing springs. We just learned how to replace them, so we are replacing springs on the storage units. Peter: Do you work at all of the locations in San Antonio? Carlos: Yes, sir. We have 29 locations in San Antonio, so we are everywhere. Peter: That’s a big job. Peter: You must be busy then. Carlos: Oh yeah, yes sir. It’s just me and Mr. Danny. Lockaway Storage – O’Connor in San Antonio, Texas. Peter: Right on. Have you learned anything at Lockaway that you think you wouldn’t have learned anywhere else? Carlos: Haha, not really. It’s just basic maintenance. I came from working at an apartment complex where I was a supervisor. A supervisor is supposed to be a jack of all trades: plumbing, electrical, all that. It helped out a little when i jumped into commercial storage. Actually I guess I never cut locks or drilled cylinders out. I’d never done it before. Peter: That’s something new, but it basically sounds like, with you, Lockaway Storage got a real expert in addition to being a jack of all trades. Carlos: Yes, sir. Yes, sir. Peter: Outside of work, do you have any hobbies that you like to do when you’re not working? Carlos: Yes, sir. I own a couple of motorcycles, Harley Davidsons, that I like to ride as a hobby. Peter: What kind of bikes do you have? Carlos: I have a 2014 Street Glide and I have a Dyna. It’s an anniversary bike, it’s an ’03. So they are all HD Harley Davidsons. Peter: Where is the best ride in that area to go on? Carlos: We got some areas out there by a small, little down out there called Bandera, Texas, so it’s a good ride out there. There’s a lot of hill country scenery. Sometimes I head out to the bike rallies, like in Austin and Galveston. Anything here in Texas. Peter: Do you have a group that you ride with? Carlos: Yeah, it’s a small group. Just a bunch of people hanging around together. Peter: Are there any local restaurants you like to go to in the area? Carlos: Well, mostly anywhere that sells seafood here in San Antonio. I am a seafood fanatic. You see, you’ve got Red Lobster and then you’ve got a bunch of these small Mexican restaurants who do good stuff with their culture and seafood, so I like to try out all kinds of sea food. Peter: Do you live in San Antonio or do you commute in? Carlos: I live in San Antonio. Born and raised. Peter: At the end of these, I like to ask if there is anybody at Lockaway Storage who deserves a shout out. Is there anybody on the team who has really helped you out? Carlos: I’d like to give a shout out to everybody on the team in San Antonio. I mean it. They are real nice people. Really friendly. I have to give everybody an equal shout out, haha!